State Senator Steve Cassano was elected in November 2010 to represent the residents of the 4th State Senate District towns of Bolton, Glastonbury, Manchester and Marlborough; he was re-elected in 2012, 2014 and 2016 to represent the 4th State Senate District towns of Andover, Bolton, Glastonbury and Manchester. Steve is Co-Chairman of the Planning & Development Committee, a Vice Chair of the Public Safety & Security and Transportation committees, and a member of the Insurance & Real Estate, Public Safety & Security, and Transportation Committees. Steve was first elected to public office as the deputy mayor of Manchester in 1977, serving as mayor from 1991 to 2005 at a time that included the development of Buckland Hills, the redevelopment of Main Street and a major expansion of new industrial parks. He taught sociology at Manchester Community College for 28 years, and he and his wife Holly operate The Children’s Place, an 8,000 square-foot day care center in Manchester. The Cassanos have five children and six grandchildren. 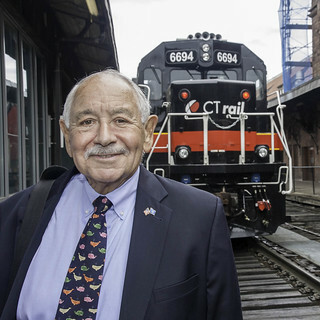 Steve is a past president of the Connecticut Conference of Municipalities and the National Association of Regional Councils, and is the former chairman of the Capitol Region Council of Governments. Steve has served on multiple national and statewide task forces and boards that have addressed critical, everyday issues such as transportation, energy, education, homeland security and the environment. Steve was born in 1942 in Boston, three months into World War II, which meant his father would be away in the U.S. Army for several years. He lived with his grandfather, a dory fisherman who operated for decades out of Boston. His father became a fisherman, too, and the family lived in various fishing towns until settling in Nantucket in 1956. Steve graduated from Nantucket High School in 1959; his mother died in 1961 when he was 19 and was the oldest of eight children. Since his father was in a V.A. hospital for long-term care, Steve remained in Nantucket and cared for his family until 1966. Steve graduated from Manchester Community College in 1968. He received a BA from Boston State in 1969, a Master’s Degree in Urban Sociology from SUNY Albany in 1970, and an MSW from the University of Connecticut in 1975. Steve enjoys being with his family, golf, travel, political trivia and the music of Johnny Cash and The Beatles.